View Google map showing the Heysen Trail with accommodation options, re-routes, Fire Ban Districts and Tourism Regions. 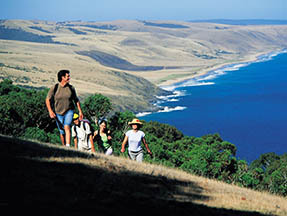 South Australia’s 1,200km Heysen Trail extends from Cape Jervis, on the Fleurieu Peninsula, to Parachilna Gorge, in the Flinders Ranges, traversing coastal areas, native bushland, rugged gorges, pine forests, vineyards, rich farmland and historic towns. 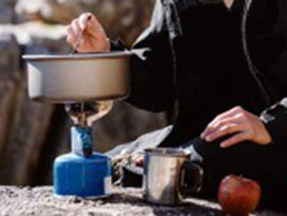 It caters for both the serious backpacker hiking the entire trail and for walkers doing day walks along shorter sections. Map sheets and guidebooks published by the Department for Environment and Water (DEW). From September 2014, the existing two guidebooks (the Southern Guide from Cape Jervis to Spalding and the Northern Guide from Spalding to Parachilna Gorge) will be superseded by eight map sheets. Buy online now from $15 with postage from $2.15. 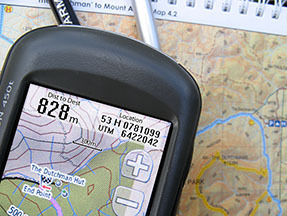 Download the GPX or KML waypoint data files to load onto your GPS unit for use as a navigational aid when walking the Heysen Trail. 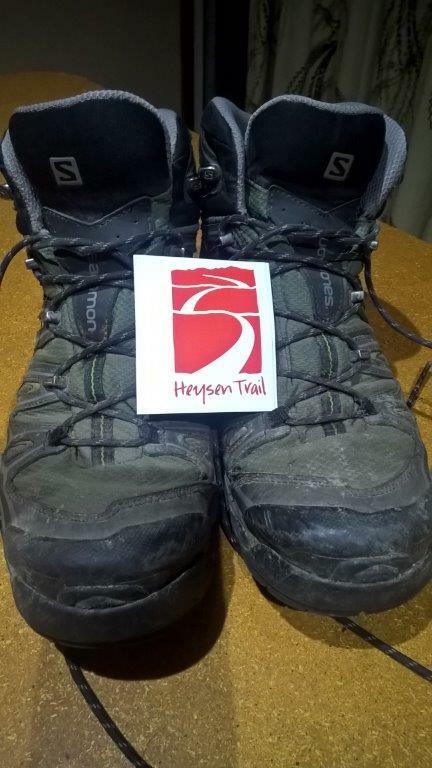 The Heysen Trail is generally open between April and November. 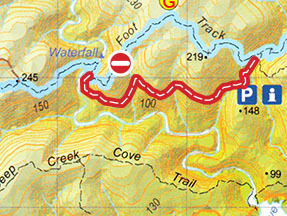 During the summer Fire Danger Season, much of the trail is closed. Due to maintenance or access issues it is occassionally necessary to re-align sections of the Heysen Trail. Scattered along the Heysen Trail are numerous campsites, huts, shelters, caravan parks, hotels and bed & breakfasts. 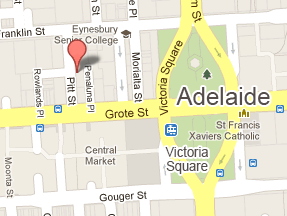 View accommodation options. List of services along the Heysen Trail: supermarkets, general stores, medical services, internet access, payphones and post offices. 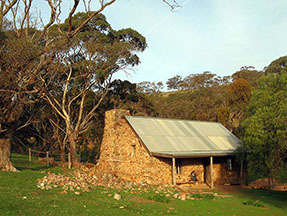 The not-for-profit organisation the Friends of the Heysen Trail maintains the Heysen Trail in partnership with the Department for Environment and Water (DEW). 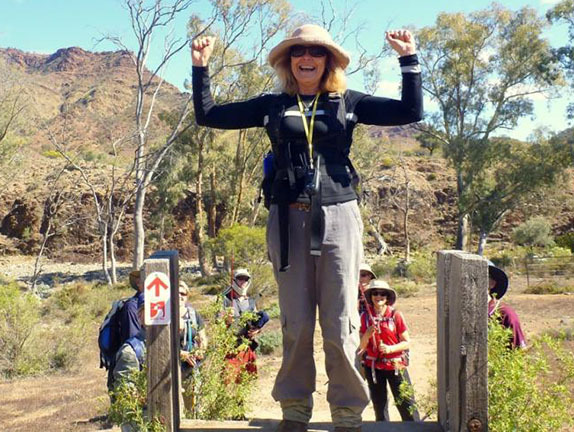 A regular walking program occurs year-wide, with different grades of walks catering for beginners to experienced walkers. Trail Development volunteers putting your walk fees to work. Volunteers have used walk fees to complete several recent Trail Development projects. 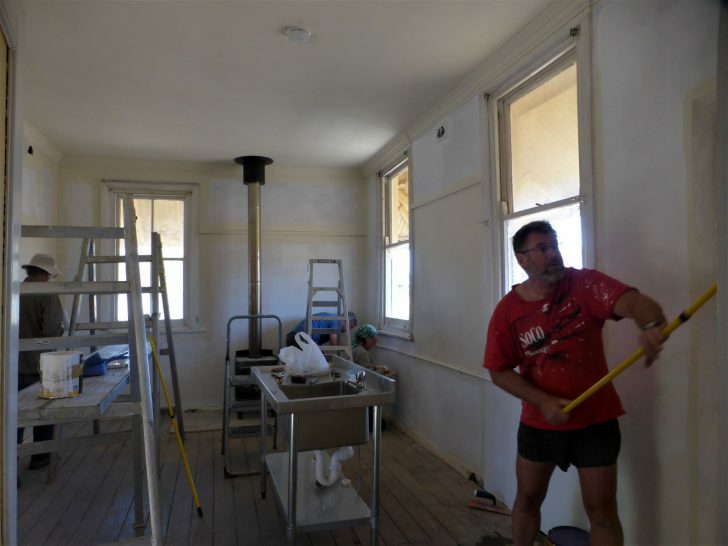 Work was undertaken at the Hallett Railway Station & several campsites. 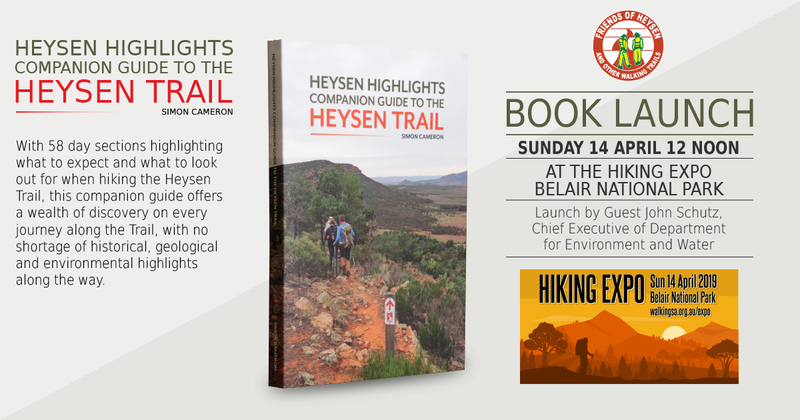 During this Sunday's Hiking Expo we'll be officially launching our Heysen Highlights book. 12noon at Main Oval, Belair National Park, launch by guest John Schutz, Chief Executive of Department for Environment and Water. The Heysen Trail through the Deep Creek Conservation Park will be closed from Monday May 13 through to 12.00 am Friday May 17, 2019. This trail closure will apply after the cessation of the Fire Danger Season for the Mt Lofty region on May 13. 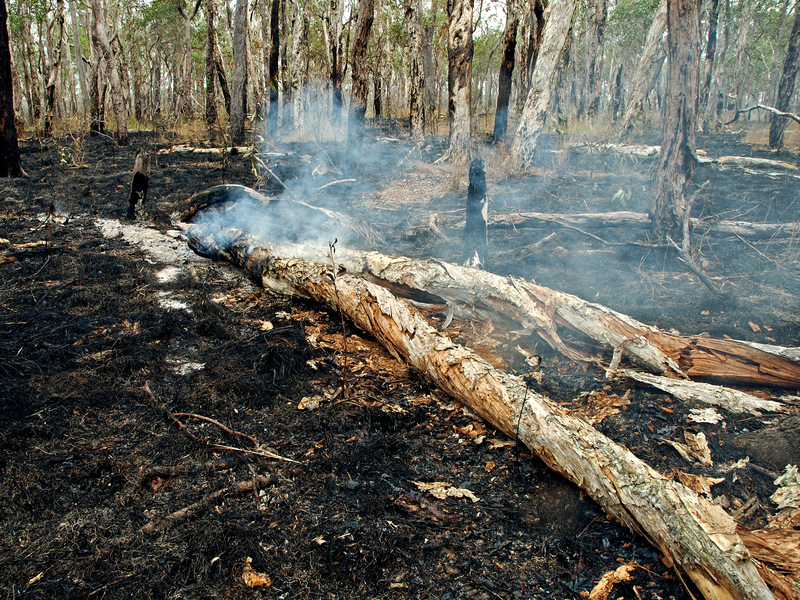 The CFS has extended the Fire Danger season for the Mt Lofty Ranges District. 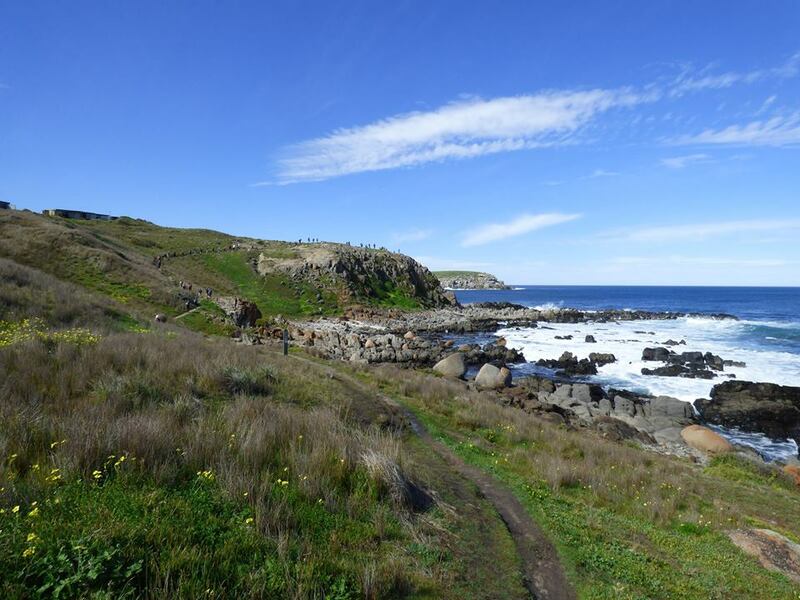 Walker access to this section of the Heysen Trail is limited until 13 May 2019. Other sections of the trail will open progressively from April 16, 2019. For well over 10 years the Friends has maintained a standard walk fee for its End to End, Trail Walker and Trail Starter walks. However increased costs of running the organisation are having an impact. Council has approved the following fees for 2019: Casual walk fee – new rate of $10 will apply to walks scheduled on or after 1 May 2019. Golden Boots Card – new fee of $75 will apply to any purchase on or after 1 May 2019. 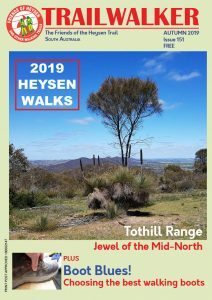 The quarterly magazine published by the Friends of the Heysen Trail. 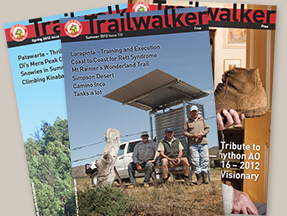 Download the latest Trailwalker issue. 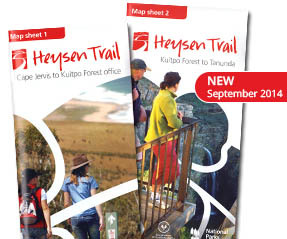 End-to-end walks are for those wishing to complete the entire Heysen Trail. As the schedule and trail logistics are done by the Friends they are easy for walkers to participate in. 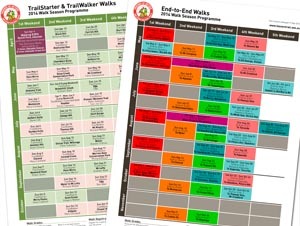 Download an easy-to-print season walk programme. View online walk calendar.